Gladiola was raised in Worthington, Minnesota. She obtained her Bachelor’s of Arts from Buena Vista University, majoring in Psychology and Spanish. She has had the privilege of studying abroad at Salamanca University which enhanced her Spanish skills. 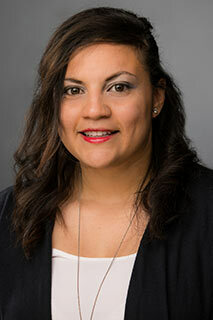 Gladiola has worked as an Account Representative for Bedford Industries in which she was given the opportunity to travel to Europe as well as to Latin America to conduct training to distributors. During her spare time she enjoys giving to her community and volunteering. She also enjoys dancing, running, traveling, hiking, kayaking and watching movies.